This is part of a series highlighting some of the poets anthologized in Poetry of Presence. We thank the poets for providing the material. Today we shine the spotlight on Alison Luterman. 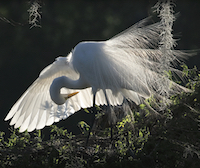 Short bio: My three books of poetry are The Largest Possible Life, See How We Almost Fly, and Desire Zoo. I have also written an e-book of personal essays, Feral City; half a dozen plays; and a new musical, The Chain. I perform with the Oakland-based improvisation troupe Wing It!, teach memoir and poetry at The Writing Salon in Berkeley, California, and have given writing workshops all over the U.S., including at Omega and Esalen Institutes. Thoughts about mindfulness and poetry: I use poetry to track the meanderings of my restless mind. The unexpected connections and juxtapositions, the associations, are all mirrors. My best poems start right under my feet and go down and in at the same time. Something beyond them is lifting them up and out. That doesn’t always happen, but when it does, I am grateful. 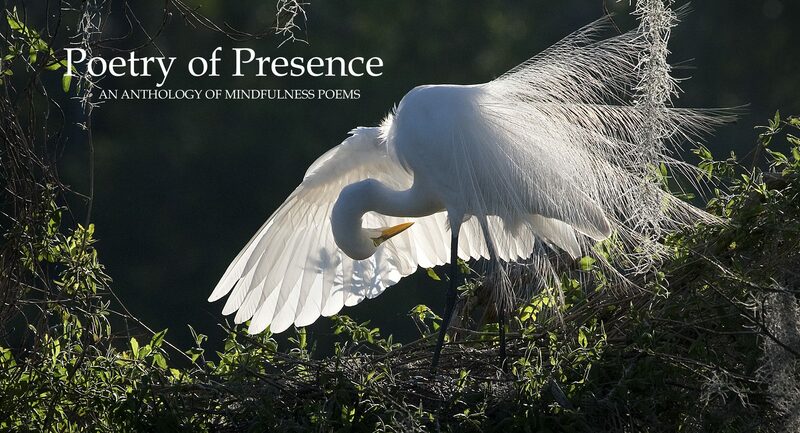 Poetry of Presence is flying off the shelves. We’re having trouble keeping it in stock for direct sales, while our sales ranking in Amazon’s “poetry anthologies” category is consistently in the top twenty. (It’s risen as high as #4.) You people are incredibly supportive! We’re very grateful. FREE BOOK-RATE SHIPPING ON ALL ORDERS WITHIN THE U.S. THROUGH 2017! 10% OFF ALL BULK ORDERS of five or more copies! NEED YOUR BOOKS BY CHRISTMAS? We recommend placing your order before December 14. RUSH ORDER AFTER THAT DATE? We’ll gladly help, but there will be a charge for any expedited shipping. U.S. customers: To buy up to four copies via PayPal or credit card, click here. To pay by cash or check, please contact us. International customers: We recommend you make your purchase through either an Amazon website in your country or the Book Depository, which offers free international shipping. This is part of a series highlighting some of the poets anthologized in Poetry of Presence. We thank the poets for providing the material. Today we shine the spotlight on Kirsten Dierking. Short bio: I’m the author of three books of poetry: Tether, Northern Oracle and One Red Eye. My poems have frequently been read on the radio program The Writer’s Almanac, and in 2015 I appeared as a guest on NPR’s A Prairie Home Companion. Thoughts on mindfulness and poetry: It wasn’t until I started writing poetry in a serious way that I began to be really observant in the world. In the same way that each word is important in a poem, each small thing I experienced started to have its own vital significance—a pristine snow drift, a bird feather, the sound of a wave lapping a boat. The more I wrote, the more I loved walking—even a short, uneventful walk through my neighborhood became filled with a hundred interesting things I wanted to explore in my poems. It’s a sort of symbiotic relationship—writing poetry makes me pay attention to detail, but carefully attending to those small details out in the world makes me want to write. Fun fact: I’m a bit of a Trekkie. We’re happy to announce that Poetry of Presence: An Anthology of Mindfulness Poems has been listed among the “New Releases” in the December issue of Beltway Poetry Quarterly. Beltway Poetry Quarterly is an award-winning online literary journal and resource bank that showcases the literary community in Washington, DC, and the surrounding Mid-Atlantic region. Our anthology qualified for consideration because it includes work by Lucille Clifton and Linda Pastan. We’re very grateful for this publicity. The world needs “good medicine” poetry, now more than ever. Thanks, Beltway Poetry!